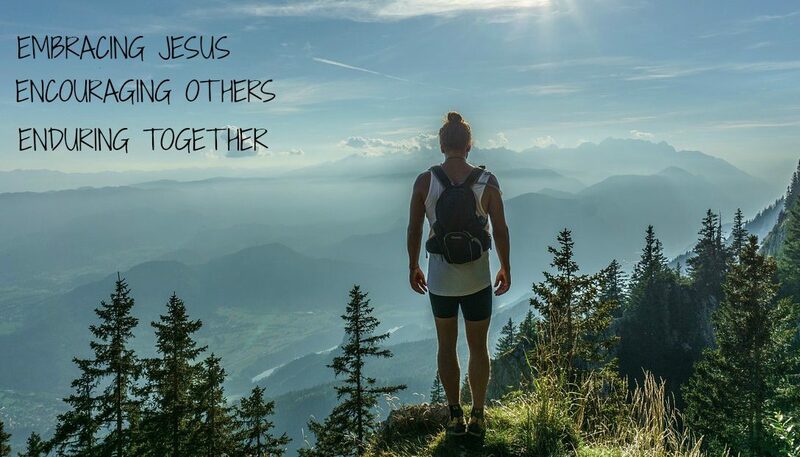 Have you ever struggled to step out in faith when you sensed God calling you to do something? Or perhaps you’ve just doubted your faith because of difficult circumstances swirling around you. 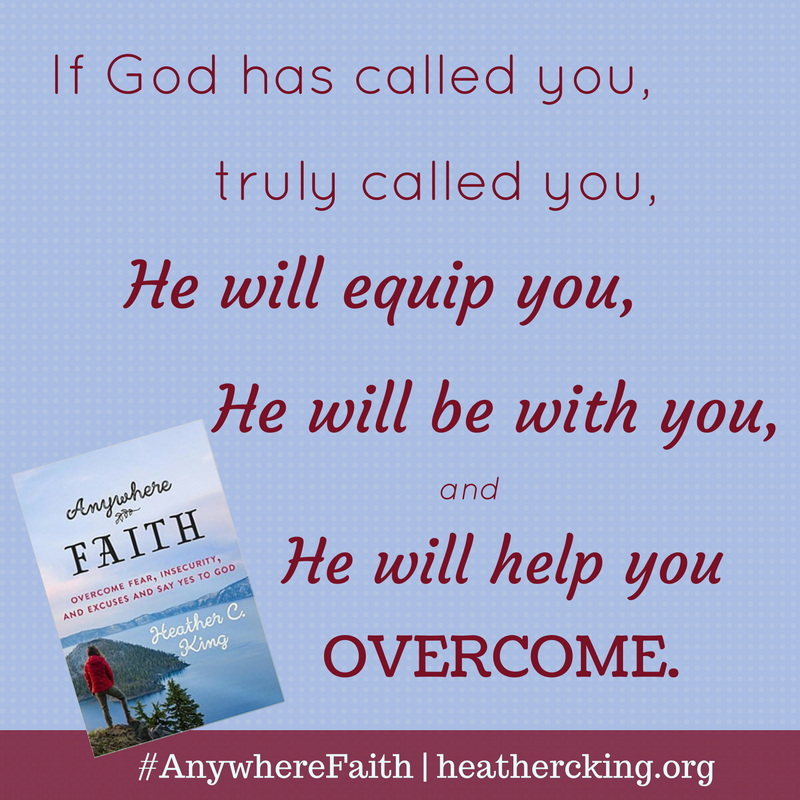 My friend, Heather King, is guest posting today on my blog and her new book Anywhere Faith is something you will definitely want to check out. She writes candidly about how fear and insecurity often get in the way of our desire to step out in faith. You’ll be challenged and encouraged by her words! I was in the middle of packing for a writer’s conference when I felt a crushing wave of defeat. It would be easier (I told God) if I just stopped now, stopped packing, stopped investing time, energy, focus and resources on writing. Maybe I could pick it up again later, but right now this was hard. I felt terrifyingly small. I worried that maybe I was trying to do something that God hadn’t actually called me to do. Had I heard His voice right? Was I in His will? I also, to be totally honest, felt overwhelmed by the idea of being plain old me at a large writer’s conference with women who looked so put-together. They would have perfect hair with perfect highlights and perfectly awesome shoes that matched their perfectly stylish outfits. Me? I don’t have highlights in my hair and I don’t wear high heels. Surely I’d be out of place. I flopped back on the pillows of my bed with stacks of clothes around me and an empty suitcase in front of me. It felt like one of those defining moments, one of those times when we have to choose whether we take another step forward and say “yes” to God or we pack it all in and choose what feels easier in the moment. The first is I remembered I wasn’t alone. Many before me had similar conversations with God. Gideon wasn’t sure he heard God’s voice clearly. Esther was afraid of what might happen if she obeyed. Martha thought God’s call didn’t make sense. That’s what Scripture shows us. We see broken people bringing their brokenness before God and He still used them. I feel overwhelmed by the task and underwhelmed by my ability. I feel like others are more able and more worthy. I feel uncertain of the next step. But I will go. I will follow you “Anywhere” you want me to go as long as you go with me. Lord, send me anywhere only go with me (David Livingstone). This became the prayer of my heart. And truly, wherever He calls us to go, He’s right there with us and His presence is our great desire and our deepest need. The second thing that happened for me in that moment I wanted to give up is that my phone pinged with a Facebook message from an author I’d never met face to face. It was the perfect confirmation, perfect encouragement, perfect word at the perfect moment. When our hearts are set on obedience to God, He is our Help and our Strength along the way. We don’t have to be enough all on our own! When I am afraid, I put my trust in you (Psalm 56:3). To read more about how we can bring our honest struggles and fears to God and ask for His help to live lives of obedience and faith, please check out my new book: Anywhere Faith: Overcome Fear, Insecurity, and Excuses and Say Yes to God. 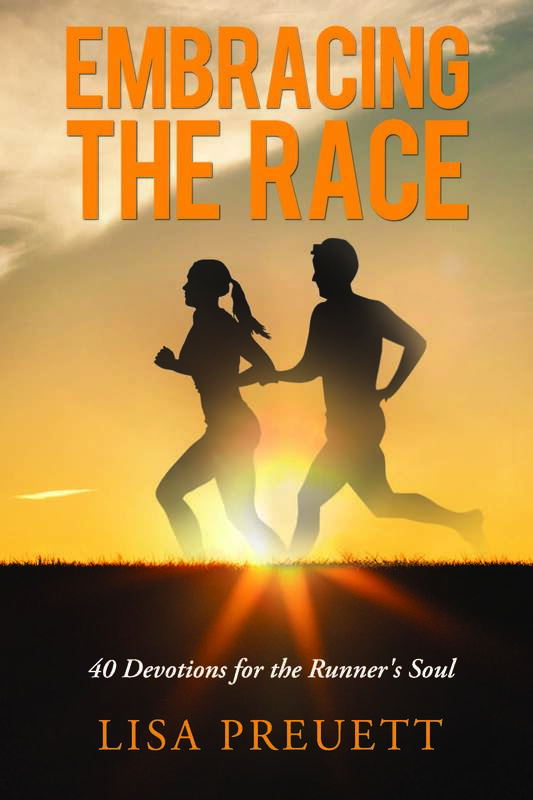 ← Embracing The Race: Join My Launch Team! Thanks for the encouragement, Melissa! That’s was really good. Thanks ladies. Thanks so much for allowing me to share, Lisa! Congratulations on your upcoming book release!!! It is a pleasure to share your words of wisdom with others! So glad that God put us together as prayer partners a couple years ago right before She Speaks. You have encouraged me along the way throughout the journey of writing my first book. Blessings to you!